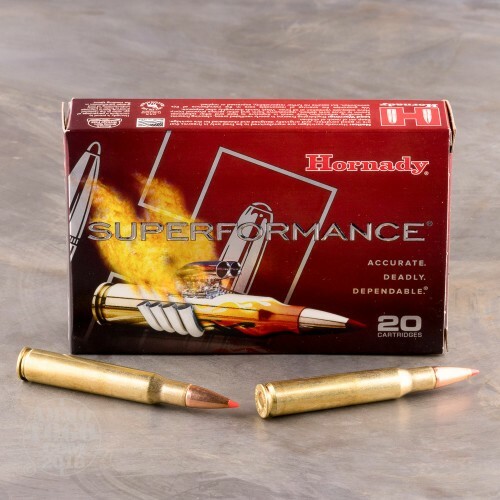 Increase your rifle's performance up to 200 feet per second with Hornady Superformance ammunition. 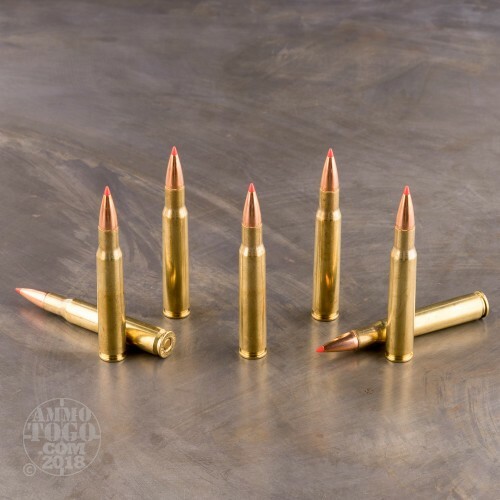 Leaving the muzzle at a velocity of 3080 feet per second with 3159 foot pounds of hard-hitting energy, this ammo increases terminal performance and extends effective range, all without adding extra chamber pressure, recoil, or barrel fouling. 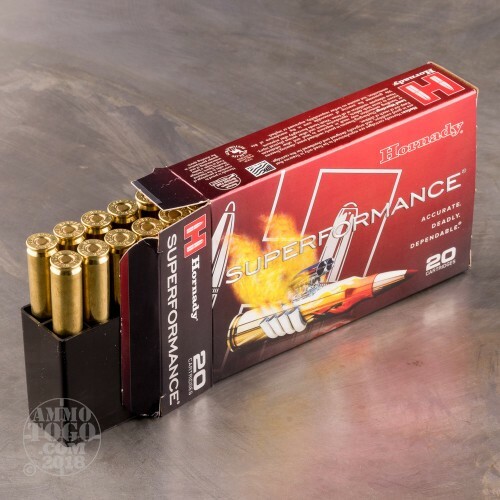 You get 20 rounds of Hornady Superformance .30-06 Springfield ammunition. 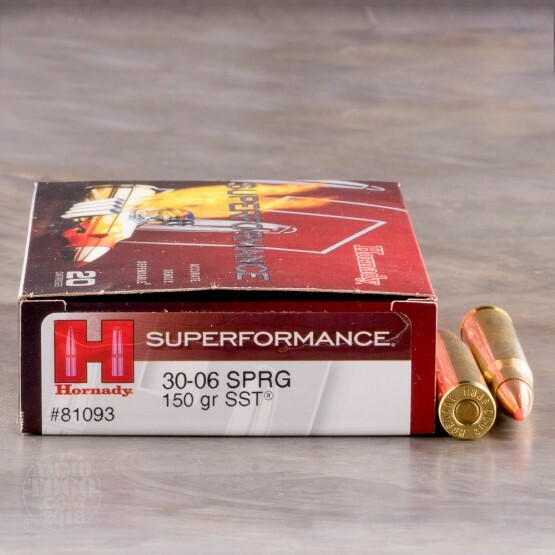 Loaded with a 150 grain Hornady InterLock Super Shock Tip (SST) bullet, these hunting rounds produce a higher ballistic coefficient than most conventional loads for improved long-range accuracy. SST projectiles feature a pointed polymer tip for flatter trajectories and reliable, controlled terminal expansion. SST bullets also incorporate the patented InterLock ring system. This unique system keeps the bullet’s core and jacket solidly locked during expansion. The result is near 100 percent weight retention and massive expansion for a devastating wound channel and quick, humane kills. Use this ammunition for hunting whitetail deer and other medium to large game animals. This ammunition is factory fresh, 100 percent non-corrosive, boxer primed, and features high-quality reloadable brass cases. great great great and without having to go to a magnum rifle.